Forthcoming events at the British Motor Museum, Gaydon, Warwickshire. 1. 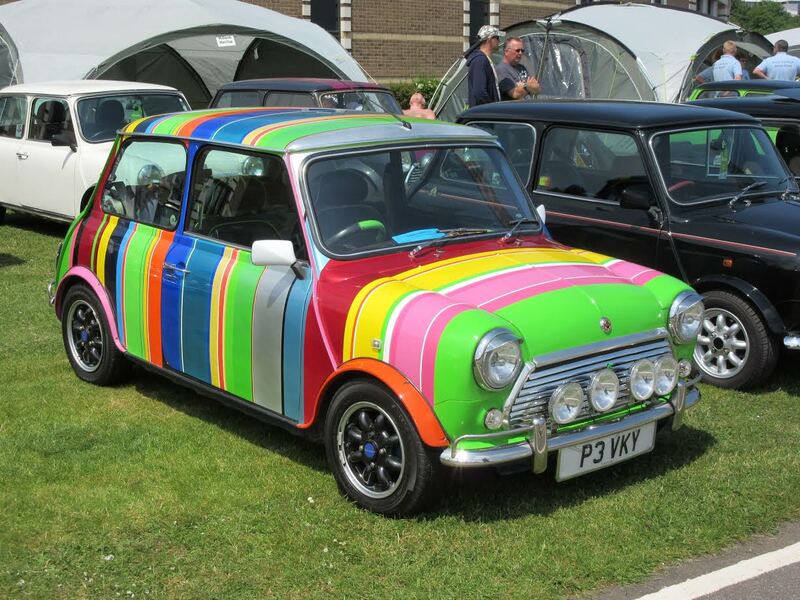 The National Metro & Mini Show, which made its debut last year, is set to return to the British Motor Museum at Gaydon on Sunday 4 June from 10am – 4pm. Over 500 of these small iconic vehicles will go on display at this unique one day show aimed at all those that love Mini, Metro and MINI’s (BMW). Throughout the day there will be a number of competitive and social competitions including a Concours, Show 'n' Shine and a fun Non-Cours with awards such as the ‘Clean Me' award for the dirtiest car, 'Beige' award for the most boring colour scheme, the 'Mini Me' award for the car that looks most like its owner and ‘Rusty' award for the rustiest but road legal car. Other highlights of this exciting show will include a Car Gymkhana where entrants have to match a pre-set time around a course as closely as possible, Best Club Stand, a Metro/Mini and MINI's Friends and relations display area plus many other feature displays. To find out more about the event please visit the website at www.britishmotormuseum.co.uk or call 01926 641188. 2. Over 300 classic and vintage Lorries will go on display when the British Motor Museum hosts the ‘Classic and Vintage Commercial Show’ for the 10th year on Saturday 10 & Sunday 11 June. This must see show features a diverse selection of vehicles built before 1997 such as the light Transit van’s through to the mighty 8 wheelers that were on regular haulage duties plus a couple of heavy haulage tractors as well. Now in its tenth year, the event is one of the largest classic commercial shows in Europe. 2017 marks the 50 year anniversary of Volvo Trucks in the UK which will include a private event at their Warwick Headquarters on Saturday 10 June. After the celebration the vehicles will arrive at Gaydon late in the afternoon. There will be a large area in the "camping" car park at the top of the site for the Volvo's to be displayed. The show also attracts a number of overseas visitors, including entries from Europe which add to the diverse selection of vehicles to view. These will include a large number of Leyland T45s, arranged informally by Diesel Dickson from Scotland and Michael Lacey from Essex plus a number of Dutch Leyland T45's. For enthusiasts restoring vehicles there is a large commercial auto-jumble selling vehicle spares, photos, brochures, models and all manner of items associated with historic commercial vehicles. There is also an indoor model show within the Museum with over 160 tables of models on display. Whether they are kit or scratch built, these models add a different aspect to the show and highlight an array of different scaled models. To find out more about the British Motor Museum please visit the website at www.britishmotormuseum.co.uk or call 01926 641188. Celebrating its 69th year, the Vintage Motor Cycle Club Banbury Run will take place at the British Motor Museum on Sunday 18 June. Around 500 Veteran and Vintage motorcycles will ride out from the Museum on various circular routes. Regarded as the largest gathering of pre-1931 motorcycles & 3-wheelers in the world, the Banbury Run is aimed at those who enjoy the thrill of riding with other Vintage, Veteran & Pioneer bikes. To find out more about the Banbury Run visit www.banbury-run.co.uk, for more information on the British Motor Museum please visit www.britishmotormuseum.co.uk or call 01926 641188. 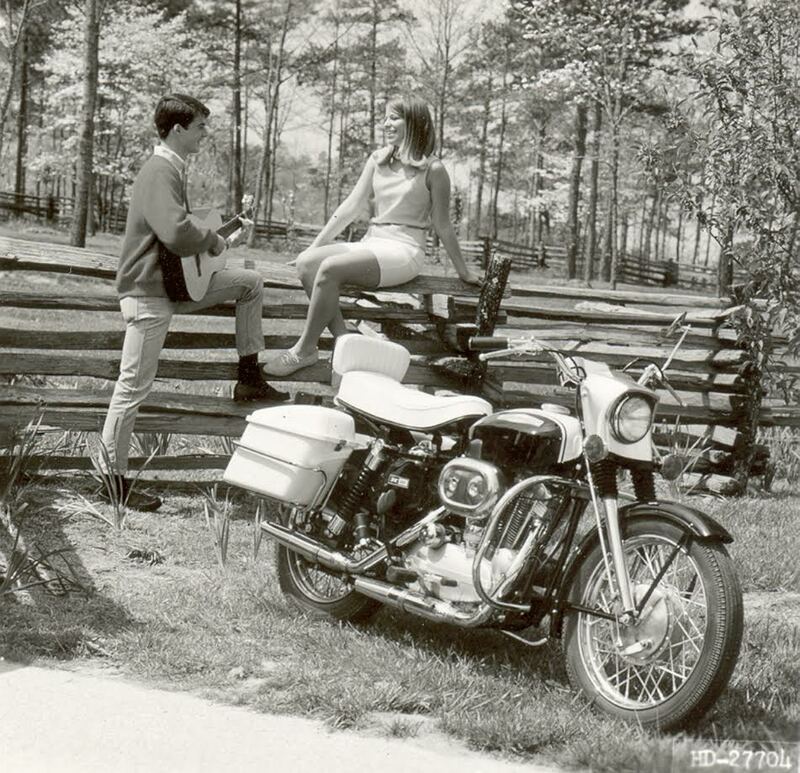 The British Motor Museum is to host the Harley Davidson Sportster at 60 Show on Saturday 24 June. The show, organised by American-V Magazine, will celebrate this iconic American middleweight tourer and the world’s fastest production motorcycle. On display will be the largest number of Sportsters gathered together in one place outside America! The show will feature a display from Warr’s Harley-Davidson, Europe’s oldest dealer as well as bikes from private collections and owner/riders. Visitors will be able to track the evolution of the motorcycle from birth to the present day and see the 7 bike model range on the stands of Harley-Davidson’s UK dealerships, plus race bikes, chops, bobbers and a host of bikes based round the Sportster engine. Harley-Davidson will bring their “Jumpstart” rolling road where novices can run a Harley-Davidson Sportster through the gears under power while more experienced riders can test their riding skills on the Motorcycle Gymkhana. Other activities include technical talks and watching unseen footage of the legendary Cal Rayborn working with the Harley-Davidson race team at Bonneville in 1970 where they set a speed record of 265.492mph! Authorised dealers and nationally recognised custom builders will also be available to talk to inside the Museum along with dedicated trading areas outside. ‘Live and Dangerous’, part of the school Curriculum Weeks programme, is to return to the British Motor Museum from 3 – 7 July from 10am – 2:30pm. Last run in 2010 by Warwickshire County Council, the Museum is proud to re-instate this important road safety initiative in partnership with Warwickshire Fire Service, West Midlands Ambulance Service, Warwickshire Police, Road Safety Warwickshire Communities Group, Catteralls Coaches and Travis Perkins Plc. The programme has been designed to help pupils develop important personal road safety skills and teach them how to deal with emergency situations. The day starts with a 'show' where the Emergency Services will respond to a staged crash and rescue a 'person' trapped in a car. The fire service will cut the roof off and the ambulance will rescue the casualty and take them to hospital. Pupils will experience lots of lights and sirens with commentary from the fire service throughout the rescue. Pupils will then participate in a series of workshops which will see them face a number of scenarios. These will include how to evacuate a coach in an emergency, cycling and the dangers of HGVs, in car safety and walking safely to school. Each scenario gives youngsters the opportunity to deal with these potentially dangerous situations. Every child who attends will be taught resuscitation techniques by the Ambulance Service. They will explore pedestrian safety, stopping distances for cars travelling at 30mph and how to manage distractions as a pedestrian. The event is also supported by Travis Perkins Plc. who, with the help of their Safety Lorry will help make children aware of the dangers HGVs can pose to pedestrians and cyclists, and how to avoid them. Live and Dangerous is open for school bookings at a cost of £12.50 per pupil. The Museum is delighted to be able to cover the cost of coach travel for the visit through its Arts Council funded Travel Support Scheme. Each child will receive a goody bag with personal safety items and road safety booklets.